For maps and more information, see the official web site. 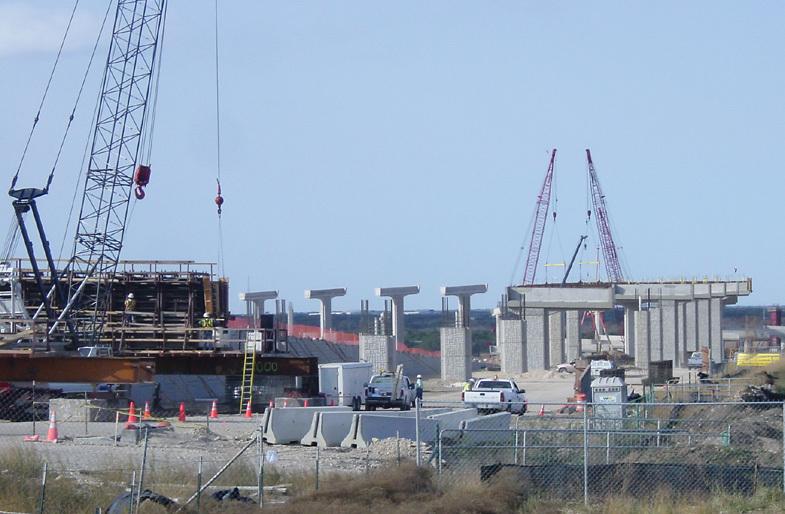 Work is progressing quickly on SH 45 near Loop 1 and IH 35. 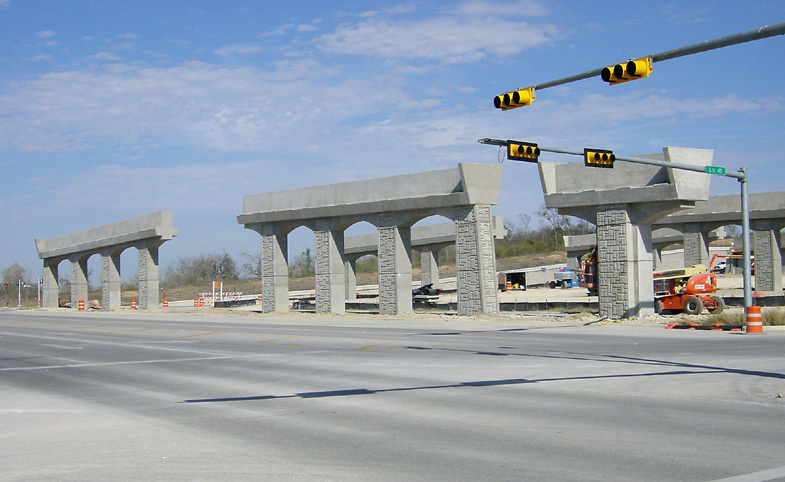 Additional contracts on adjacent sections of SH 45 are about to begin, or about to be awarded. 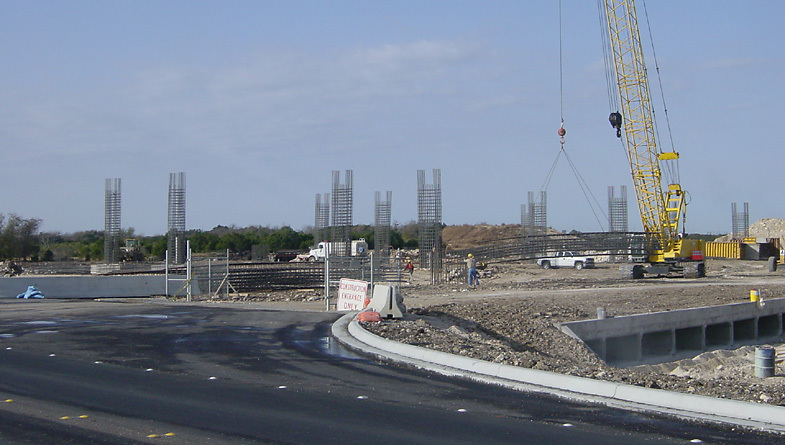 There is some work on SH 130 near Georgetown, but major construction has not yet started as of December 2003. (click for high resolution) This view looks west at IH 35. The right-of-way is wide here to accomodate the interchange. 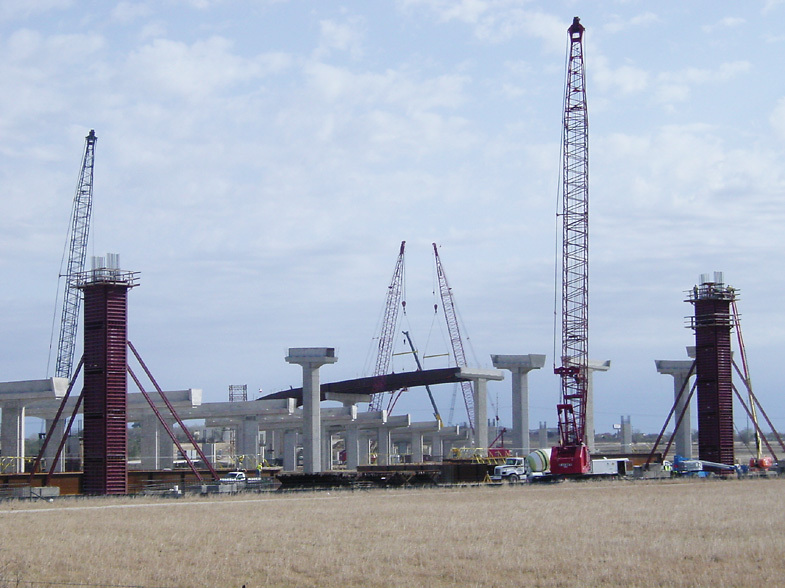 In the long run a full interchange is planned, but only selected ramps are being built in this phase. 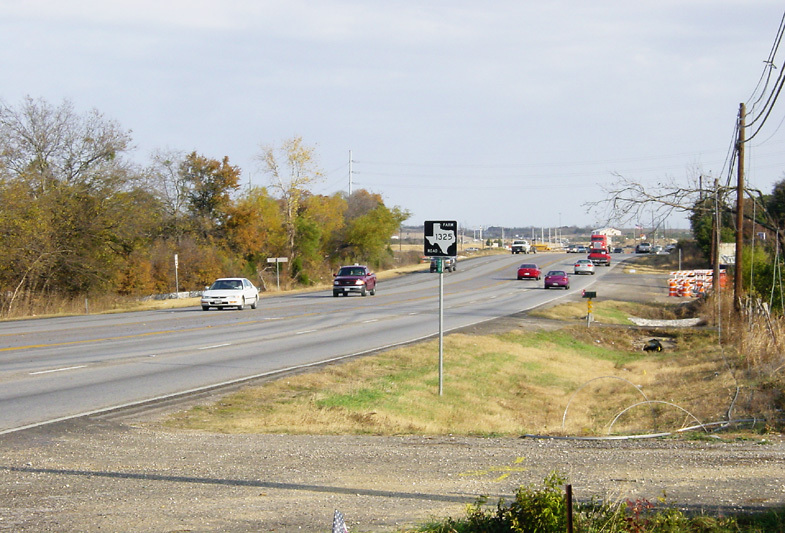 Looking east, on the west side of IH-35. 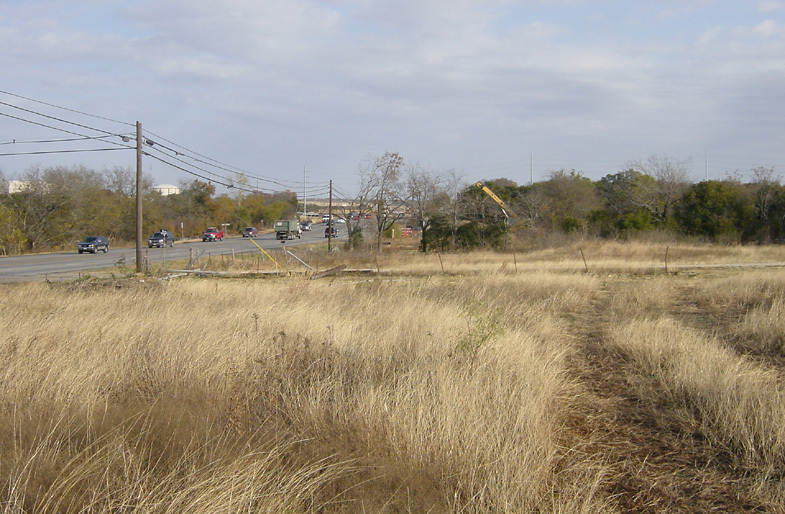 (click for high resolution) Looking east, on the west side of IH-35. 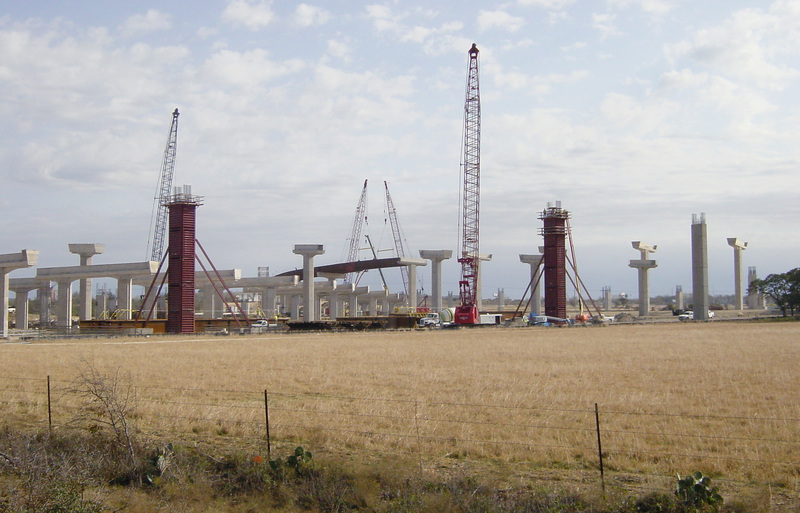 Construction at the La Frontera Road overcrossing. (click for high resolution) Looking west at CR 172. The interchange with Loop 1 is just ahead. Looking east toward the Loop 1 interchange. 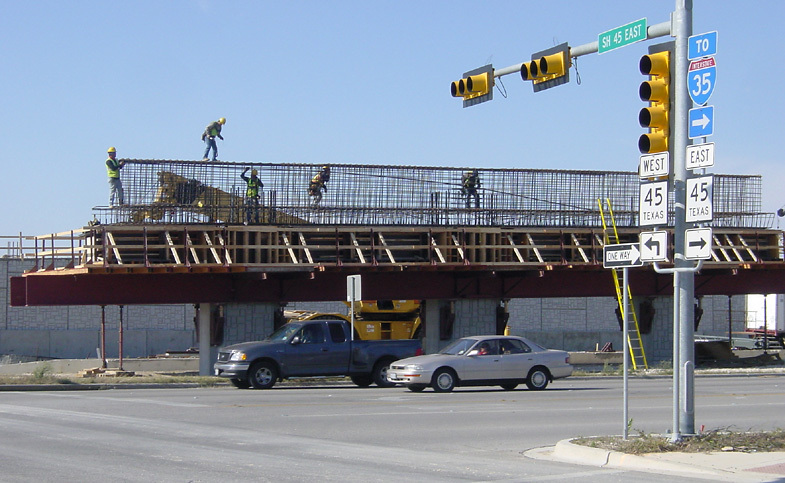 Construction of the overcrossing at CR 172. 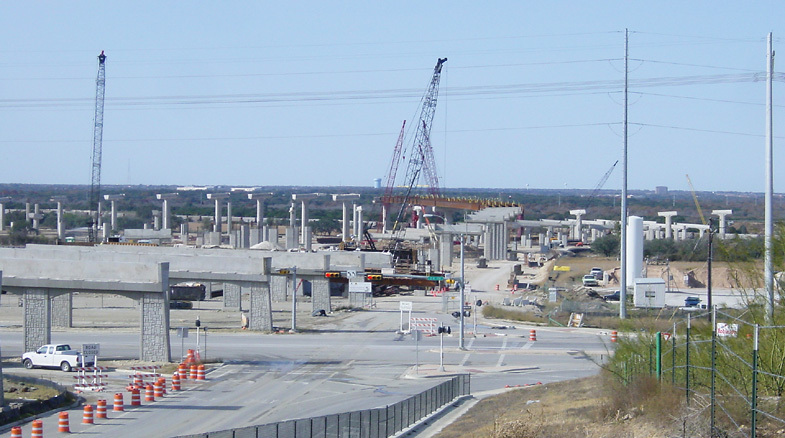 A wide view of the SH 45-Loop 1 interchange, looking west. 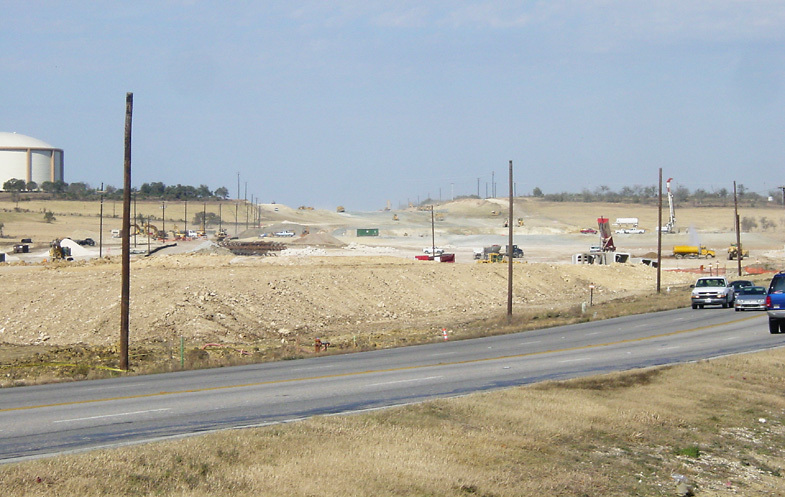 Looking east at the SH 45-Loop 1 interchange from McNeil Road. A closer look at the same view above. 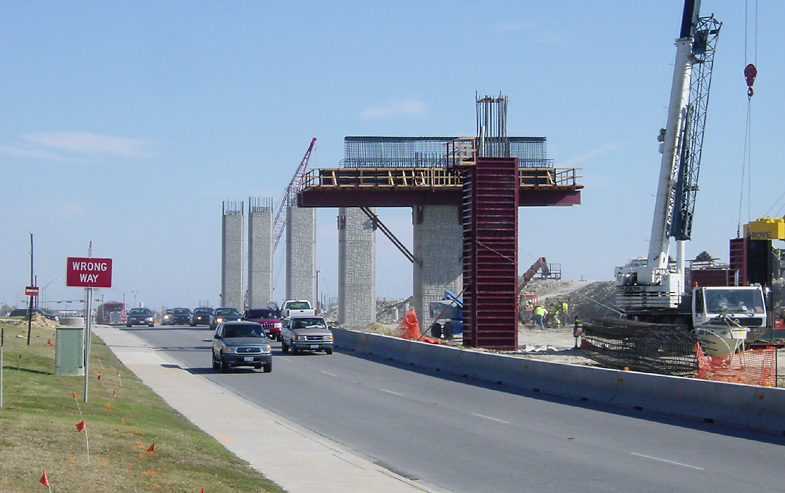 Looking north along McNeil Road with the piers for the SH 45 overcrossing. 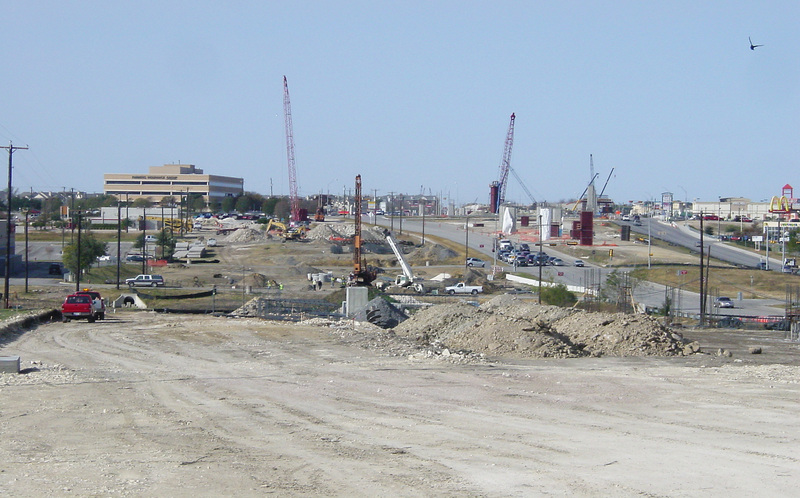 Looking southwest along McNeil Road. 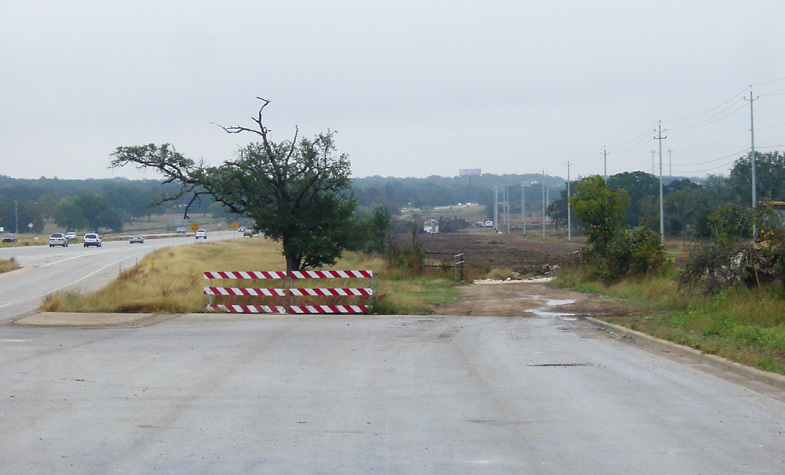 Looking north along FM 1325. 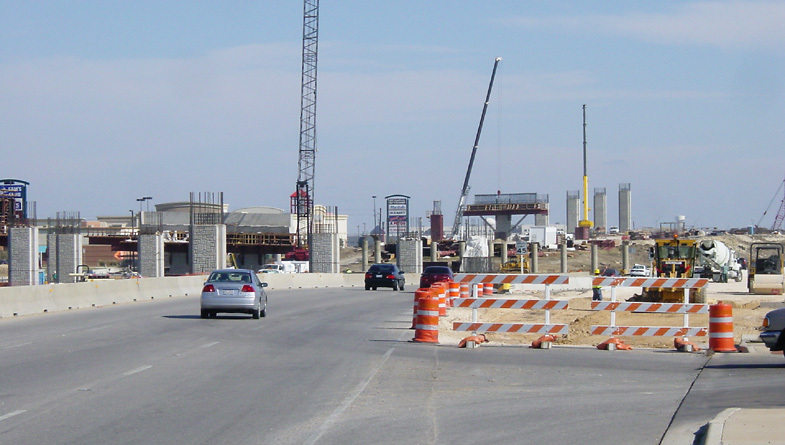 Tollway construction has not yet begun, but will begin soon. 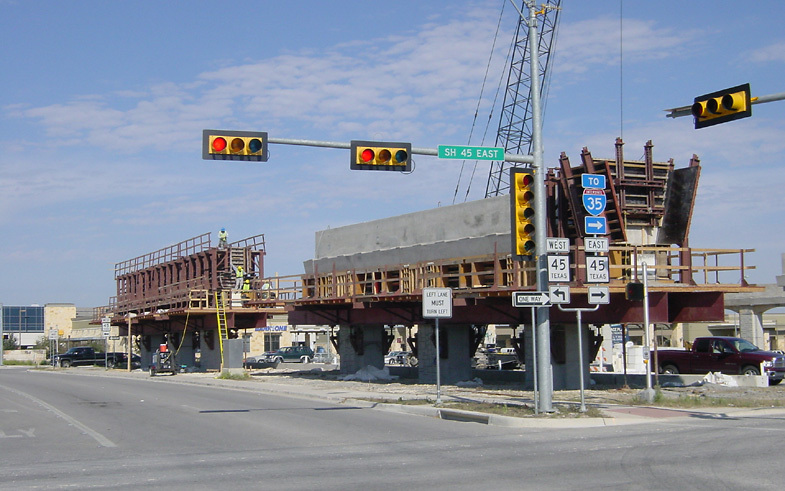 The location of this photo will be approximately in the center of the Loop 1 tollway. 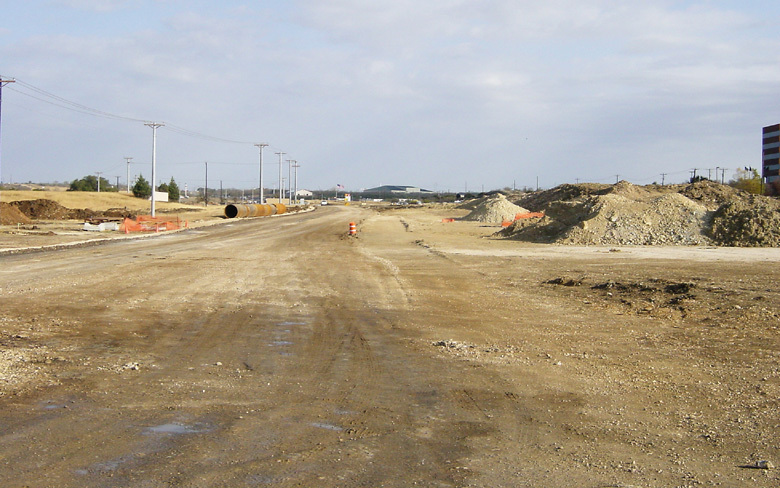 Looking north along the southbound frontage road, just north of Howard Lane. Loop 1 veers away from FM 1325 and proceeds to the ridge in the distance.